Hello! This is Eli one of the teachers in Global Toyonaka, and on top of English I happen to be a Spanish teacher! Can I try to convince you to give Spanish a chance? Did you know that Spanish has more than 437 million speakers in the world? It is the official language of 20 countries, and it is the language with the second highest number of native speakers after Chinese! Not only Spanish is a great option of a language to learn because of the big numbers, but because of the very different cultures you can experience in the different countries who speak it! Learning Spanish is useful not only in order to visit Spain, but also Peru, Argentina, Chile and many others! 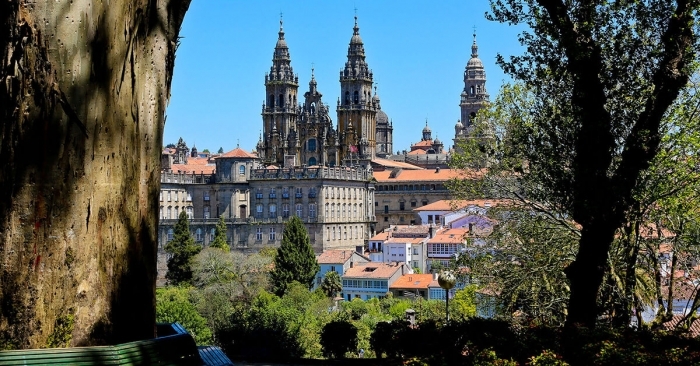 La Alhambra in Granada, el Camino de Santiago through Spain, el Camino Inca close to Cuzco, or the Salar de Uyuni in Bolivia… the options are truly endless and every destination is a delight to all the senses. And don’t get me started with all thee different delicious foods that Spanish speaking countries have to offer… or the culture and traditions. Soccer, flamenco, la tomatina and much more! And if your native language happens to be Japanese, I can let you know in advance that your pronunciation is going to be quite good from the start. Spanish and Japanese have very similar phonetic characteristics, including only five vowel sounds (same as Japanese). So I think I gave you quite a few reasons to at least consider that learning Spanish may be a good chance to discover and enjoy a whole new world. So why don’t you give it a try? We’ll be waiting for at Global Toyonaka!